That’s a wrap on the first quarter of 2019. We saw little change in unemployment, but job gains slowed by 27% quarter over quarter. 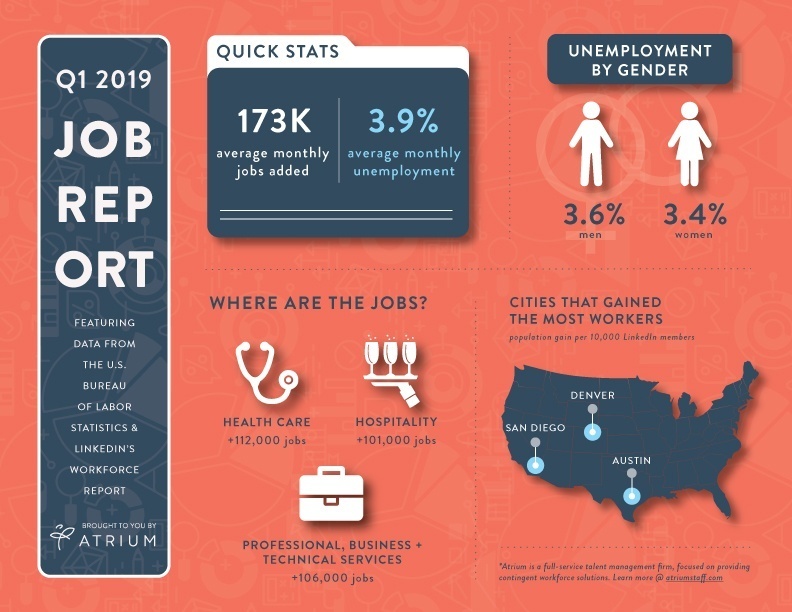 Review the statistics outlined in our Q1 2019 Job Report infographic below. Combining stats from the Bureau of Labor Statistics’ monthly Employment Situation Report with data from LinkedIn’s Workforce Report, the infographic provides you with a quick summary of quarter one.